Lactantia PūrFiltre Milk. 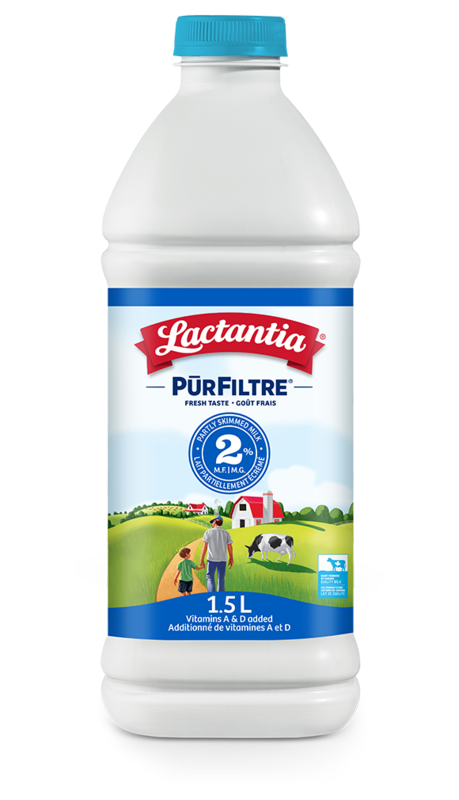 Purely Delicious. 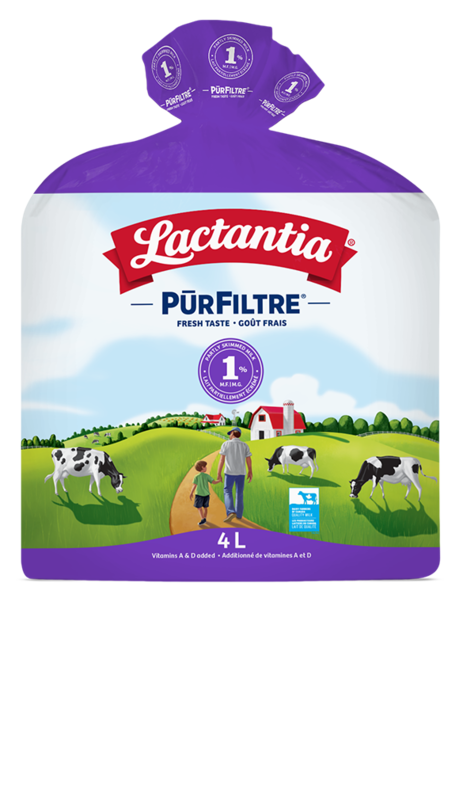 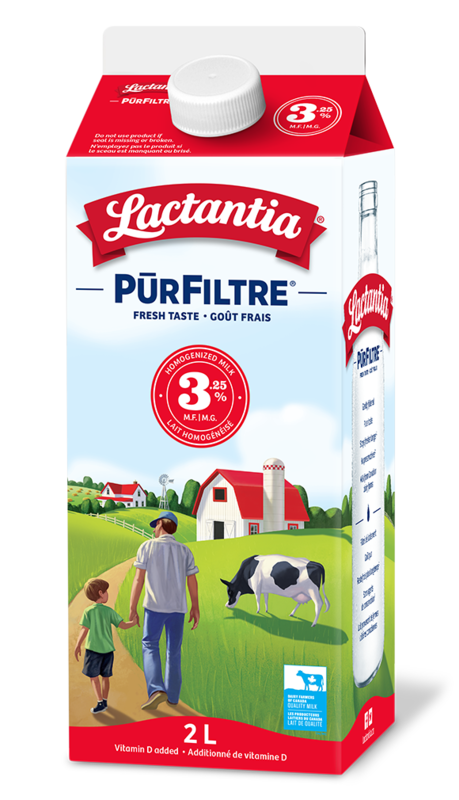 With Lactantia PūrFiltre milk, every drop of milk is carefully filtered to provide a smooth, pure taste that stays fresher longer than pasteurized milk* – naturally. 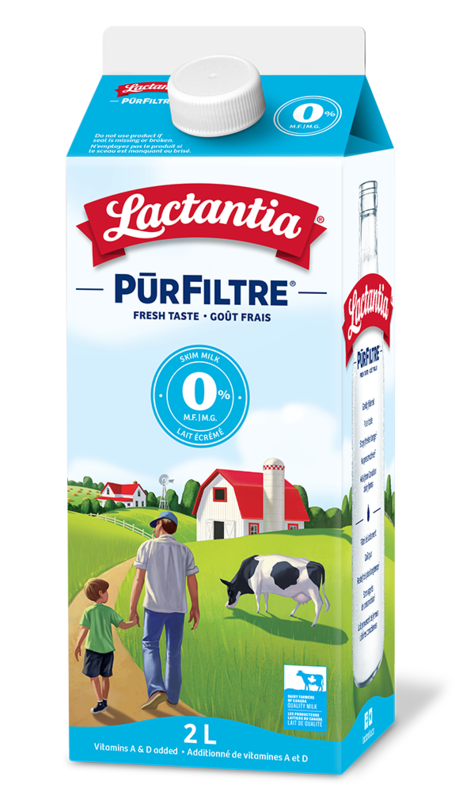 Lactantia PūrFiltre milk contains no preservatives, like all regular milk.